Nichole brought with her 10+ years of business experience when she joined Twin City Plastic Surgery and Oasis Medical Spa & Wellness as the Practice Manager back in January of 2013, and although she was new into the healthcare arena at the time, she continues to learn and understand the challenges faced by the medical field through the ever-changing healthcare landscape. Otherwise, she enjoys leading a team of wonderful professionals and managing all aspects of the business from the finances to the day-to-day operations of Twin City and each of the doctors’ private practices as well. Nichole works hardest to keep the focus of the business, however, on providing a professional and personalized patient experience, and she thoroughly enjoys communicating and interacting directly with patients as much as she can so as to continue to assure that they are well cared for through all aspects of their time spent within Twin City Plastic Surgery and Oasis Medical Spa & Wellness. On a personal note, Nichole was born and raised in the Petersburg, Illinois, area and achieved her Bachelor’s Degree in Biology/Environmental Health at Illinois State University … go Redbirds! 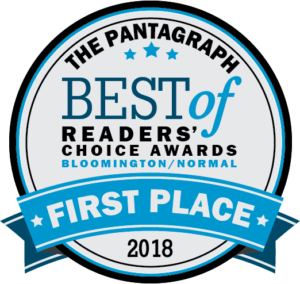 After living in the area through her college years, she and her husband decided to call Bloomington/Normal their home and have raised three boys in this great community. Nichole’s children occupy much of her time outside of the office, and she is very involved in her sons’ lives as family time is truly her passion, as well as being a huge advocate for the St. Jude Children’s Research Hospital. 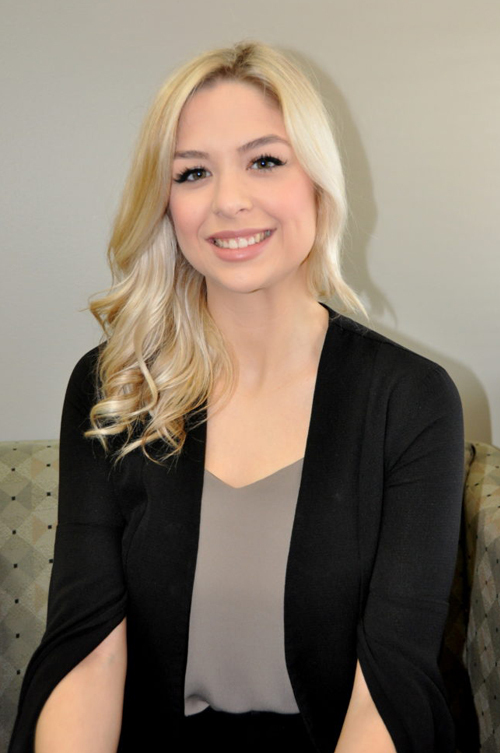 Alex Caouette joined the Twin City Plastic Surgery team as the Patient Care Coordinator in January of 2018, and since her recent start has thoroughly enjoyed working firsthand with our cosmetic patients. Alex is the first to communicate with our cosmetic patients at inquiry, and then connects with them all of the way through surgery, the post-op recovery process, and beyond. She loves being there every step of the way and connecting with patients to help them move forward with their desired results and provide a positive and personal patient experience. Alex was born and raised in the northern suburbs of Chicago, and after living in the city for 3 years, she has recently made Bloomington her home. She has a background in luxury retail working on Michigan Avenue. Outside of work, Alex loves trying new restaurants, going boating, and watching sports. She is also a big fan of the Illinois State Men’s basketball team … go birds! 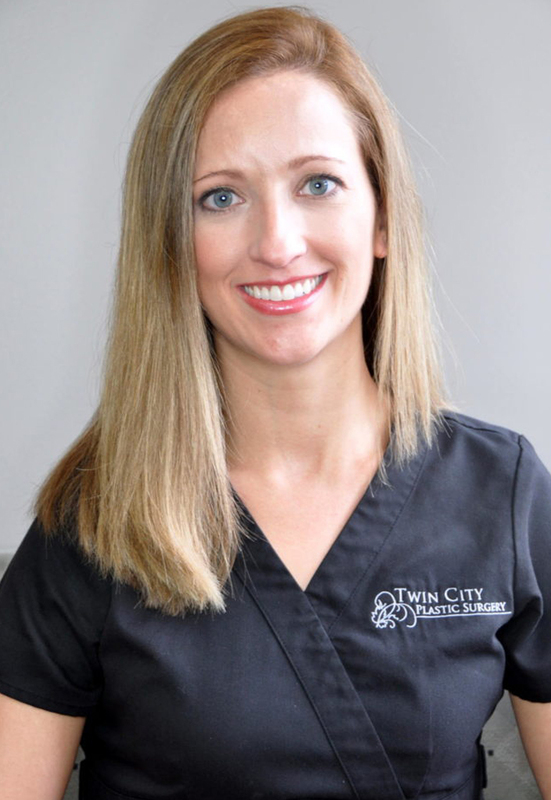 Susie Collins is a Registered Nurse at Twin City Plastic Surgery and has enjoyed working with our growing Medical Team. Her main focus is scheduling surgeries for the doctors in our Practice, she also fields calls from patients for any issues they may be having, works with the insurance companies for pre-approvals of procedures, and also manages the day-to-day operations within the Medical Team to assure patients are seen in a timely and efficient manner when coming to Twin City for all of their medical needs. 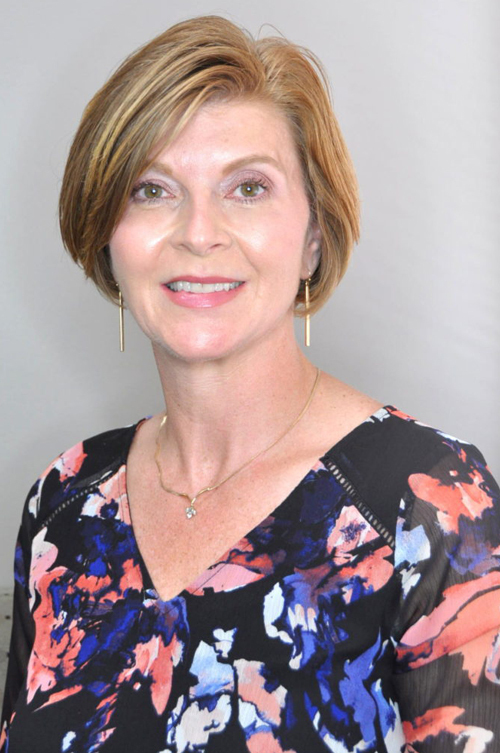 Prior to coming to our Practice, Susie spent many years in medical and cosmetic dermatology in Prospect, Kentucky, although she was raised in Bloomington/Normal and is enjoying now being back in town and close to friends and family. Outside of work, Susie is busy with two young children and enjoys traveling whenever she has a chance.